Centrally located spacious and well furnished property in Kirti Nagar. 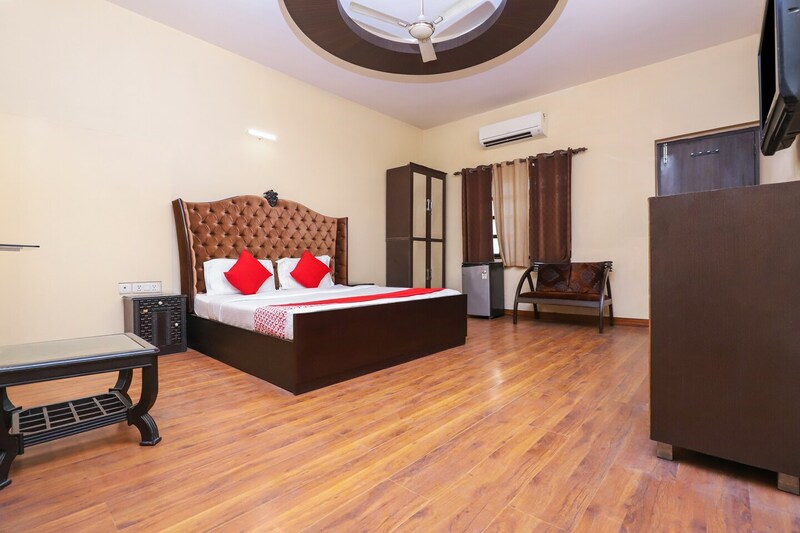 Located in Kirti Nagar, Delhi, Hotel Royal Town is a centrally located hotel very close to popular markets and shopping malls. Some of the must-visit places in the city are Jantar Mantar, Mumtaz Mahal, Khas Mahal, Lotus Temple, Sikandar Lodi Tomb, Red Fort and Qutub Minar. Hotel Royal Town boasts of huge and spacious rooms with wooden floors that very well complement the wooden wardrobes and matching curtains. The decor is modern and yet minimal. There is also a mini fridge and a separate seating space where you can enjoy your morning new paper. Bathrooms are neat and well maintained. Every room in the hotel includes flat screen, air conditioner, queen size bed and free internet access. The guests are also offer 24*7 power backup and free parking.